Deep within the shifting sands of the Gobi Desert lies the elusive Olgoi-Khorkhoi, The Mongolian Death Worm – or so legend has it. 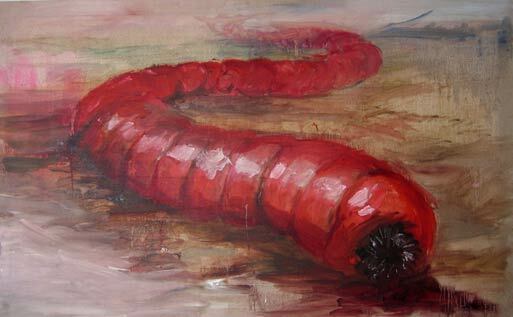 The Mongolian Death Worm is a bright red worm, a mysterious cryptid said to inhabit the southern Gobi Desert. Local Mongolian tribesmen claim to have seen the creature in their travels, but the stories have never been confirmed, even after many attempts by multiple research expeditions over the years. Olgoi-Khorkhoi is Mongolian for ‘large intestine worm’, and the stories describe a 1 meter (3 feet) long, bulging worm. It is red, like an intestine filled with blood. Artistic illustrations depict the worm with a gaping round mouth filled with inward-pointing teeth. Some describe it as having a spiky, pointed end, and gift it with the ability to spray deadly burning acid at a target. There are also claims it can discharge electricity from its body. 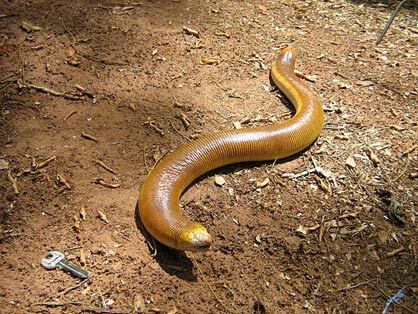 The death worms will reportedly shoot up from beneath the sand without warning to kill its food – camels and rodents – but unwary humans can be prey as well. The legend says that the Olgoi-Khorkhoi originally laid its eggs in the intestines of a camel and thus acquired its blood red colour. Many locals are convinced of the existence of the mysterious creature. Even the Mongolian Prime Minister Damdinbazar described the death worm to a western explorer in 1922. Skeptics largely suspect the tales of the killer worm are folklore only. Second-hand reports are very descriptive and uniform, but as yet none of the accounts have ever been confirmed. Many independent researchers, adventurers, and zoologists have searched the farthest reaches of the Gobi Desert to spot the infamous death worm, but none have succeeded in seeing it, let alone photograph it. The history of the death worm has been passed down in Mongolia for generations, but only came to the attention of the western world in the 1920s, after paleontologist Roy Chapman Andrew’s book described the lore in detail. Andrew remained skeptical of its existence. Czech cryptozoologist Ivan Mackerle is credited as being the foremost investigator of the death worm. He learned of the worm from a student, and made the trip to southern Mongolia in 1990 to uncover more. His investigations were difficult, as he found many Mongolians were loath to speak of the legendary beast. Making it more complicated was an order by the Mongolian government outlawing searches for the death worm. Eventually the ban fell, and Mackerle was able to search for answers. In his book “Mongolské záhady”, Mackerle chronicled the worm from second-hand reports. The creature is a “sausage-like worm over half a metre (20 inches) long, and thick as a man’s arm, resembling the intestine of cattle. Its skin serves as an exoskeleton, molting whenever hurt. Its tail is short, as if it were cut off, but not tapered. It is difficult to tell its head from its tail because it has no visible eyes, nostrils or mouth.” He never witnessed it himself, but Ivan Mackerle eventually determined the Olgoi-Khorkhoi could be real. LiveScience quotes British biologist Dr. Karl Shuker, author of the book “The Unexplained“. 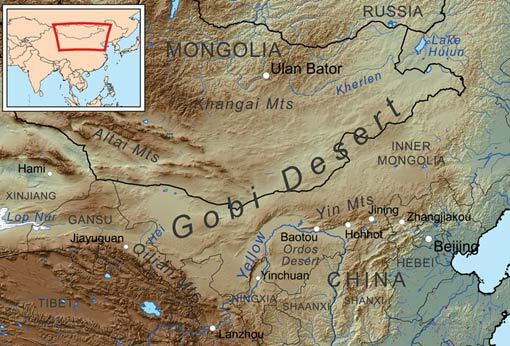 Shuker describes the legendary beasts as “one of the world’s most sensational creatures […] concealed amid the sands of the southern Gobi Desert. … It spends much of its time hidden beneath the desert sands, but whenever one is spotted lying on the surface it is scrupulously avoided by the locals.” Shuker himself never reported witnessing the Mongolian Death Worm, but hypothesizes that the worm might be the carnivorous amphisbaenid, a limbless, burrowing lizard that lives in warm climates. 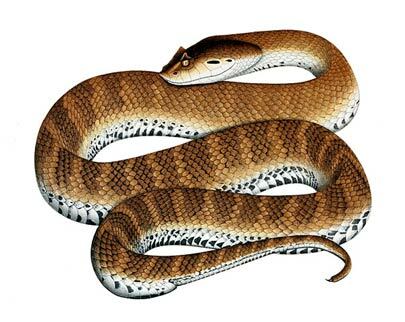 Other researchers suggest the descriptions loosely match the death adder, a member of the cobra snake family. The death adder, found in Australia and New Guinea, is physically similar to the death worm, and is able to spit venom several feet. Its reputation for being a clearly unpleasant animal hasn’t deterred expeditions into the desert by journalists, entertainment reporters, and reality-television programs as recently as 2009. All examinations, including a National Geographic Channel series on the worm, have come up empty handed and have drawn no definitive conclusions. Could the Mongolian Death Worm be nothing but legend? This elusive cryptid has never revealed itself to outside investigations, but to the local population it is very real, and is yet another danger to avoid in the treacherous Gobi Desert. Featured image: An artist’s illustration of the Mongolian Death Worm. Image source.